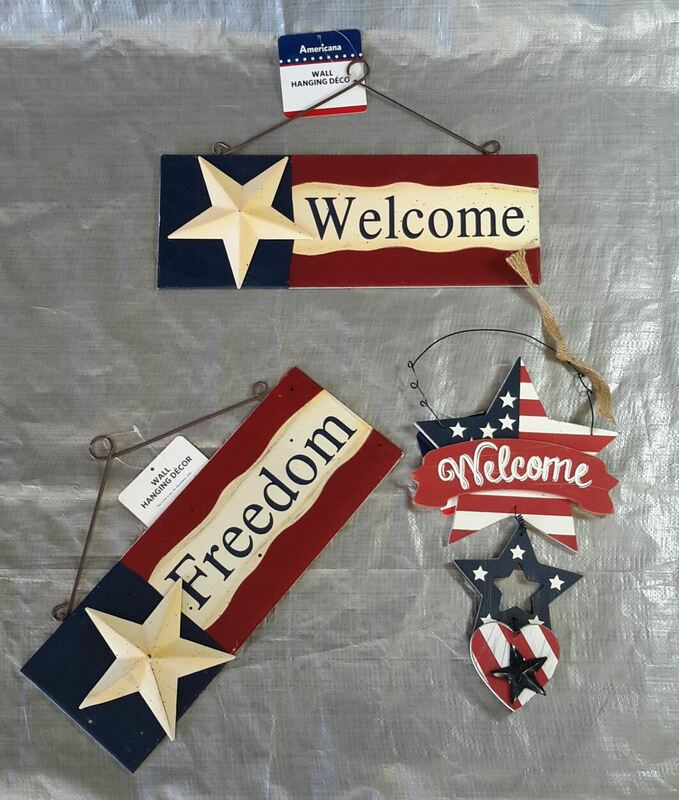 This is a lot of approximately 8 4th of July Memorial Day decorative hanging wall decor various sizes/designs. Perfect for any type of reseller, your average cost per piece is only $2.00! Click the button below to add the Wholesale Lot 4th of July Memorial Day Hanging Wall Art 8 Pcs to your wish list.